The second volume of Analytical Psychology and German Classical Aesthetics builds on the previous volume to show how German classicism, specifically the classical aesthetics associated with Goethe and Schiller known as Weimar classicism, was a major influence on psychoanalysis and analytical psychology alike. 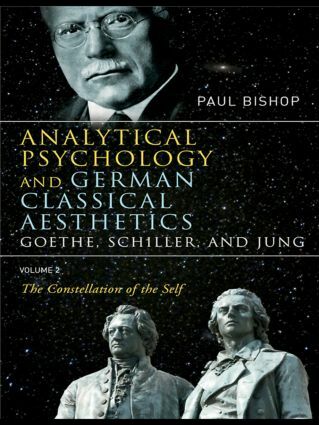 This volume examines such significant parallels between analytical psychology and Weimar classicism as the methodological similarities between Goethe’s morphological and Jung’s archetypal approaches, which both seek to use synthesis as well as analysis in their attempt to understand the world. It also focuses on the project of the construction of the self, which, it is argued, is not only a personal but also a cultural activity. This book, like its previous volume, aims to clarify the intellectual continuity between Weimar classicism and analytical psychology. It will be of interest to both students and scholars in the fields of analytical psychology, comparative literature, and the history of ideas.